Whether you live in or near Colorado or just love to visit there (Texans do! ), Christmas is a great time to embrace the of the season in this beautiful state. Historic settlements, forts and mining towns illuminate their history with twinkling lights against a backdrop of freshly fallen snow. Picture horse-drawn sleigh rides on rustic dude ranches, festive Christmas parades, bustling food halls, steaming hot springs, and handcrafted gifts for a special Colorado Christmas. Here’s a collection of holiday ideas from different areas of Colorado, with suggestions for a special place to visit, a gift to give, an experience to enjoy, and something you make that creates lasting memories. Visit: A snowy Colorado mountain town. Give: Pair a sleek, handmade Mountain Boys Sled with cozy, locally made hats, gloves, socks, and mittens made from cuddly woolen fleece. Do: Head to the tiny town of old mining town of Silverton and experience Colorado’s legendary fresh powder on a sled or sleigh ride. Check the calendar for full moon hikes and events as the mountains glisten in the glow. Make: Fill your thermos with a warm Colorado Toddy: 1½ oz. Colorado Honey Bourbon, spoonful of Honeyville honey and a lemon garnish. Kiddos in tow? Try pre-made hot chocolate from Animas Chocolate Company. Visit: Celebrate Christmas at a Colorado dude and guest ranch. Give: Colorado-made Crescent Moon snowshoes for traipsing across the snowy fields. For those cozy evenings by the fire, snuggle up with a good book or a knitting project. Do: Dude ranches are magical when blanketed in snow under blue skies. 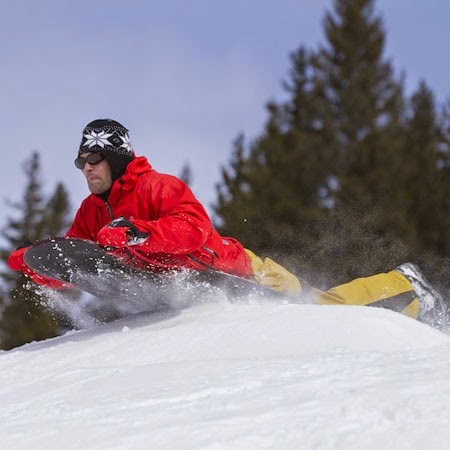 Settle into Latigo Trails for sleigh rides, snowshoe hikes, bonfires and more. Make: Let the wranglers at Latigo Trails help you handle authentic branding irons to create your unique family brand; then burn it onto the ranch wall and onto a wooden block to take home. Give: When Slovenians settled in Pueblo, Colorado, they introduced cultural and culinary traditions that are still alive today. One such culinary delight is the sweet dessert, Potica, especially popular during the holiday season. Stop by Mauro Farms or find your favorite baker and pick-up a loaf of this festive bread for your holiday feast. Do: Experience the most festive and elaborate lighting on November 29 for Pueblo's Parade of Lights. Don your jingle bells to keep with this year’s theme: Silver Bells! Natural hot springs are great for soothing bodies year-round. Make: Wake up with the sun and coffee from Solar Roast Coffee – the world’s only commercial solar-powered coffee roaster. Participate in a traditional cupping or simply hang out in the roasting room and roast your own solar coffee from green bean to cup. Take home a bag of your personal roast coffee to serve in a pottery coffee mug you made at Cup and Bowl. Visit: Colorado has over 22 natural hot springs and mineral waters with breathtaking mountain backdrops and star-studded skies. Give: Pampering products for a basket of self-spa. In historic downtown Salida, Vital Living offers natural bath and body care products and teas. Heal All Salve is a must-have for a mountain visitor or Calendula Crème from Green Earth Farm in Saguache. Deliver your treats in a handmade Feed Sack Bag available at a "must see" Salida market: The Ploughboy. 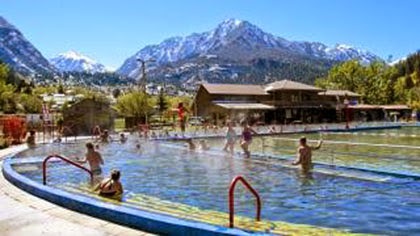 Do: Soak under the stars at Mount Princeton Hot Springs and relax with an Arkansas River Hot Stone Massage. 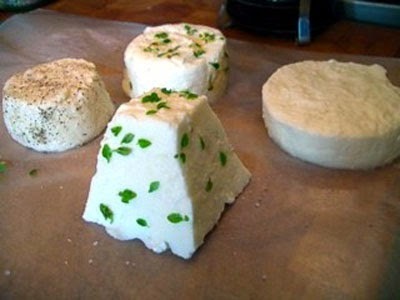 Learn to make a variety of cheeses at Mountain Goat Lodge. Make: Stay the night at Mountain Goat Lodge and participate in a cheese making class. Take home soft, fresh cheeses for your holiday appetizer plate and stock up on goat milk-based stocking stuffers.